What’s Stopping Your Blog From Growing? When you first start out in the blogging world, it’s not always for business, Or money, Or work, it can quite often be for enjoyment alone. And that’s great. But as you find a passion for what you’re doing, or you do tend to find a bit of success, it can then also be nice for you to think about what you might like to do to take things to the next level. Turning Your Passion Into Profits! There’s always a next level, and there’s always going to be a way of getting there. You just have to find it. Yet, this is the trick and the thing that we all want to know. Growth isn’t always that obvious, but it can be something that you work on if you want it bad enough. It’s not something that is simple to achieve. Because if growth were that easy, we’d all be doing it! 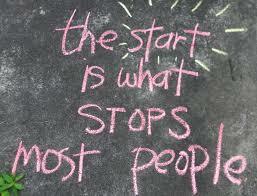 However, if you’re willing to work hard, to commit yourself to your blog and what you want to achieve, then you will. But, you need to be the driving force here. And you need have to be objective and have clarity in order to do this. Because sometimes, you’ll hit a wall. And you won’t actually be growing at all. You’ll kind of be floating along. In order to grow, you need to overcome obstacles and start to move forward. But unless you know what those obstacles are, then it’s hard to do that. So let’s take a look at what some of these may be. This is an affiliate contributed post. That means that Paul did not write the entire post. First of all, it might be that you feel as if you’re time strapped. Well, if your growth is that important to you, then you just need to abolish that. You need to prioritize better and make time to work on your blog. The better you are at managing your time, the easier it will be for you to grow your blog. It is always advisable to plan your day before you start your day. To Do List plays a vital role in being productive. Or, on the flip side of that, it could be that you just don’t have the money you need. Maybe you want to hire someone to take on your social media for you? Or you want to redesign your website? When this is the case, you will either need to bootstrap and just save your way to making it work. Or, it’s time for you to look into finding an investor. If you think that you just don’t have the ideas, then you have two options. Give up. Or, you can just find them. You can read more. Think more. Listen more. Experience more. And when you do this, you’ll find that you’ll be an idea generating machine. 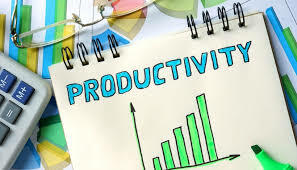 Do you feel as if you’re just not as efficient as you’d want to be. Maybe you feel as if you’re always repeating the same tasks or you get distracted or your Wifi lets you down? Then you need to take action here. Maybe you need to do a speed test or set up systems for how you do things? Maybe you even need to batch work on set days or find a space to work from that will make you feel more motivated. If this is going to help you to grow, it’s always going to be worth it. 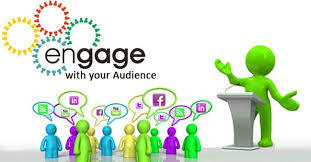 If you think that a lack of engagement is hindering your growth, then you know what to do. Because if you want to grow, you just need to harness the opportunities that you have in front fo you. So start talking. Get to know your audience. Give them what they want. Focus on this, and solely this, and you will find that you grow. Or maybe you just feel as if you’re not committed? That there’s no oomph? That you’re just not showing up for yourself. Admitting this can be tough. But if you do want to make changes and you want to grow, then you need to have grit. And you need to own grit. And you need to take that grit and use it to take your work to new heights. Finally, as much as you may not want to admit it, you probably are making excuses. For why you can’t do this today or why you’re unable to make steps forward. We all do it. And usually, it’s out of fear, or change, or success, or failure, All of it. But if you continue to make excuses for yourself, you will not grow. And so, you need to make sure that you’re changing this. That you’re letting go of your excuses and that you’re finally taking charge of your blog growth once and for all, and pushing it in the right direction. 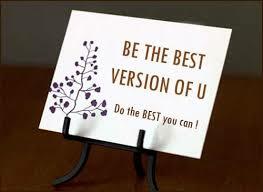 Be The Best Version Of You & Do The Best You Can! By focusing on the above seven vital things for sure you can grow your blog to the next level. 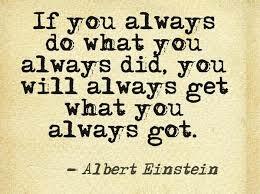 Its all about implementing what we know and what we learn. If your WHY is bigger than your HOW for sure you will make it happen. However I have answered the HOW part. What I Recommend To Make Money Online? In order to attain online success and build a long-lasting career, you need to have great training. When it comes to building an online business, you will get a lot of doubts and you need great support and guidance. I will recommend the training which helped me to become a full-time blogger working from home. Anyone can build an online business from home by using the same training platform I am using because it shows you how to turn your idea into income. This is the method which helped me to escape from being an Employee and turned me into an Entrepreneur. MY TOP RECOMMENDATION – Are you interested in learning about making money online? 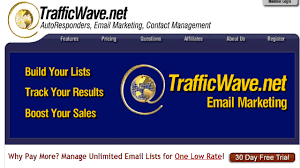 Want to learn about internet marketing from a genuine company? See MY TOP RECOMMENDATION. P.S – There 1000’s of make money online products and 1000’s yet to come! But there is a genuine platform from where I learned everything and they are in the market since 2015 with 1300000+ members. The time is now and take action!